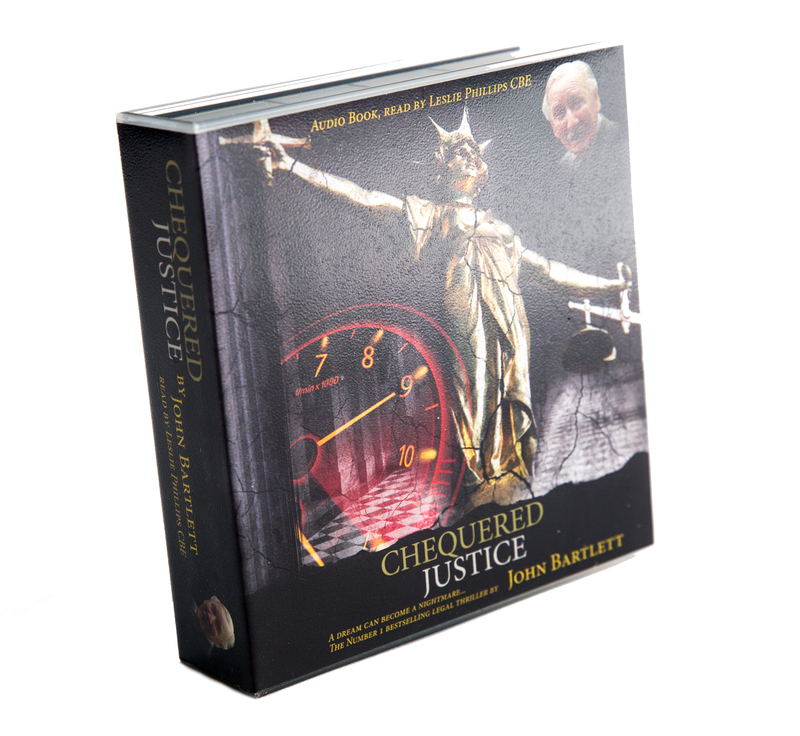 The seductive tones of veteran actor Leslie Phillips provide the narration to the new audiobook edition of Chequered Justice, a novel by Maidstone author John Bartlett. Mr Phillips, who appeared in three Carry On films and literally dozens of other movies since his first film appearance as a child actor in 1936, has just celebrated his 90th birthday. He is a personal friend of the author, a former motor racing driver, who lives at Mote Park. Author John Bartlett with actor Leslie PhillipsThe audiobook has a cinematic-style backing track, so listeners hear not just Mr Phillips’ narration but also the sound effects of the action. It runs for 17 hours. The audiobook was recorded in Chatham over a period of a year. Chequered Justice is based on Mr Bartlett’s own experiences as a WSCC racing driver, and tells the tale of team boss Will Middleton who suddenly finds himself in trouble with the law over an insurance claim which despite its apparent insignificance turns his life upside down. Mr Bartlett has now written a follow-up novel, entitled Dark Horse.